Our products provide simple and adapatable solutions to the most common business problems, ensuring that you and your team are literally on the same page. Share your ideas. Save your frustration. An easy-to-integrate solution that’s actually easy to integrate. meet your office information hub. a tool for better and more productive meetings. Our interactive displays for business are built to enable sharing and communication with a minimal learning curve. The Journey 13 Series panel is as easy as it gets. 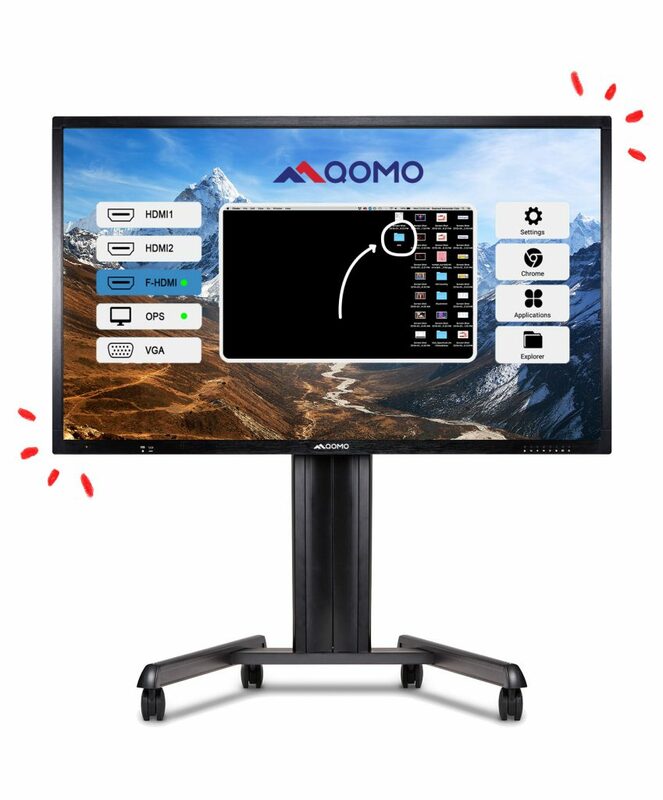 They can see what you see with QOMO's QD3900 H1, a flatbed document camera that captures photos and video during your presentation that can be played back at any time. cool, calm & fully connected. Our QConnect wireless sharing device lets everyone give their input, allowing up to 64 people to interact with a presentation at once. With the QOMO laser projector, you can save money on maintenance without having to replace bulbs, ever. Transform any smooth surface­ — from a projector screen to a blank wall — into an interactive presentation tool. Make eye contact with your audience. The QOMO Podium gives you the power to give interactive and dynamic presentations without having to look over your shoulder at the screen. collaboration software thatplays well with others. Our presentation software allows you to annotate and work over or alongside any software application, your existing content, or over a web browser. “Our sincerest appreciation for the quality durability and technical support of QOMO and their products."